Information about approved on site effluent systems. Primary treated wastewater can be discharged into trenches, beds or mounds. Here are some guidelines with details. These systems meet the requirement to reduce nitrogen to 15g/m3, for Rotorua installations. Wastewater from an AWTS can be discharged to a Land Application Area through drippers. It is important that the drip lines are correctly installed and properly maintained. To help ensure that the installation and maintenance is correct we have developed some guidelines. Check out Using Driplines for Wastewater Disposal. The Land Application Area may be under lawn or may be planted. If you choose to plant the Land Application Area, it is important that the plants are suitable for the locality and the wet soil conditions. See a list of suitable plants below. Plants to be used over a land application area need to be chosen carefully. The objective is to ensure that the whole of the land application area is covered. This will optimise system performance and limit weed growth. Select large plants cautiously, as it may be difficult to prune or remove a tree which grows too large. There are a number of plants which can be used. You do not need to limit your choice to native plants, but the following is a list of natives which are suitable for wastewater disposal systems in the Bay of Plenty. We encourage you to use plants grown from locally sourced seed that are ecologically appropriate for the part of the region where they are being used. The list is split into two parts: the grasses and ground covers should be used at the edges and the taller trees and shrubs planted in the middle of the land application area. Large clump forming plant with wide, pointed bright green leaves. Will form clumps up to 2m high. Long strap-shaped leaves with red orange coloured veins. The flower heads are cream yellow. Natural distribution is Tauranga and Rotorua and south of those centres. The familiar toetoe with long weeping light green leaves. Grows in clumps up to 3m high. Drooping cream coloured plumes. Also known as the palm leaf fern. Fronds up to 2m long. Young shoots are pink and turn green as they age. Hybrids of the two ferns listed above. Forms a dense clump of upright foliage light green and brown in colour. Also known as forest sedge. Native sedge with dull green to reddish leaves about 500 mm tall. Seeds occur on long stems. Vigorous native species that grows to 1.5 m tall. Suitable for a larger area. Green leaves have a sharp edge. Light green to yellow green tufted sedge. Grows to 700 mm. No rhizomes. Prefers full sun. 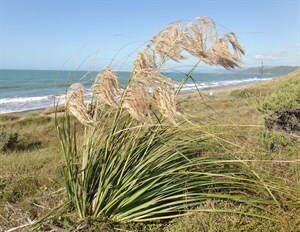 Endemic grass species that exhibits tall spreading tussocks. May grow up to 3 m tall. 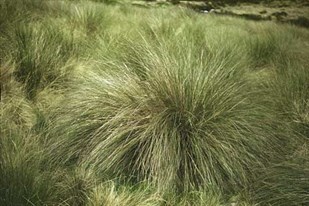 Endemic grass species that forms dense light green tussocks up to 1m tall. Vigorous leafy sedge growing up to 1m in open damp places. 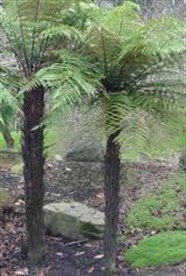 Tree fern up to 7m tall. Herbaceous plant up to 500 mm tall that spreads by rhizomes. Bronze coloured foliage with serrated edge. Prefers shade. Robust perennial sedge forming yellow green tussocks to 2m tall. Long erect leaves to 3m. Prefers full sun. Robust perennial sedge forming dark green tussocks to 3.5 m tall. Develops glossy black nuts. Large dark green fern with bristly brown hairs on stems. Prefers shade. Small fern which creates a tangled mound 600mm high. Fronds arise from a rhizome covered by dark red-brown hairs. Bright green to orange green rush which grows in tussocks to 600 mm high. A hardy rush which forms tussocks to 1m. Prefers full sun. Blue green sedge with square stems to 2m tall. Fast growing clump forming flax with large stiff leaves to 3m. Easily propagated from split fans or grown from seed. Attracts birds especially tui. Lowland forest tree up to 7m tall. Large bunches of cream coloured flowers appear in spring followed by black berries. Small leaved shrub species that grows to 4m tall. Small leaved shrub which grows to 3m. Characterised by divaricating branches and dark blue fruit. Common coprosma hybrids with leaf size and shape in a variable range between its two origin species. Shrubs or small trees growing to 3 m tall with glossy green leaves. Masses or orange-red fruit in autumn are attractive to birds. Hardy plant. Endemic species that grows to 3m tall. Leaves pale green with slender branches. Palm like in appearance with large heads of linear leaves and panicles of scented flowers. Grows eventually to 12m. Relatively slow growing tree that grows to 40m. Common forest shrub with pale green glossy foliage, growing to 2-3 m. Tiny flowers give off strong scent in spring. Shrub or small tree growing to 2m. Natural forms have white to bluish flowers. Prefers full sun. Fast growing small leafed tree to 5m. Hardy. Prefers full sun and well drained situation. Large upright tree (to 30 m) with attractive bright green foliage and distinctive whitish bark. Fast growing. Tolerant of some sun and frost. Not tolerant of wind. Shrub or small tree growing to 4m in height. Common shrub varying in form throughout New Zealand. Ideal to provide shelter for other plants as it is quick growing and hardy. Requires full sun. Tolerant of difficult conditions. A fast growing but long lived tree to 7 m height. Tolerates some frost, wind and sun. Birds are attracted to the blue berries. Requires shelter to establish. Slow growing species that will reach 12m. Small tree with dark twigs bearing pale green shiny leaves. Can grow to 5m. Small deciduous tree with interlacing branches and small leaves. Grows to 6m. New Zealand’s only palm, with red berries attractive to birds. Requires light shade, plenty of moisture and protection from wind when young. Divaricating and bushy tree with small green leaves growing to 6m. Yellow flowers which attract birds and produce distinctive legume seed pods. Tree growing to 10m with spreading habit. Large grey-green leaves and yellow flowers. Attractive and moderately growing wetland tree to 12m with bronze foliage, large bunches of reddish fruit and distinctive whitish bark. Tolerates some frost. Fast growing to 20m in fertile, open but sheltered conditions. If your property is within a maintenance zone there are some particular requirements (see below).